It is that time of year where we spread the word about Fire Prevention. 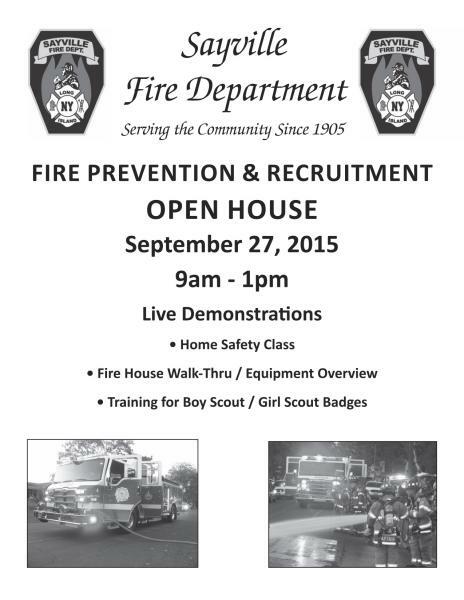 On Sunday, September 27th from 9am - 1pm, the Sayville Fire Department will be hosting their annual Fire Prevention & Recruitment Open House. We urge the Sayville Community to come down to the Sayville Fire Department and learn about the latest on Fire Prevention or register to become a Sayville Firefighter!